Nu behöver du inte leta länge. Här är kontrollytan som du har längtat efter! Expand and command your Digital Audio Workstation (DAW) by adding true tactile control via USB2.0. 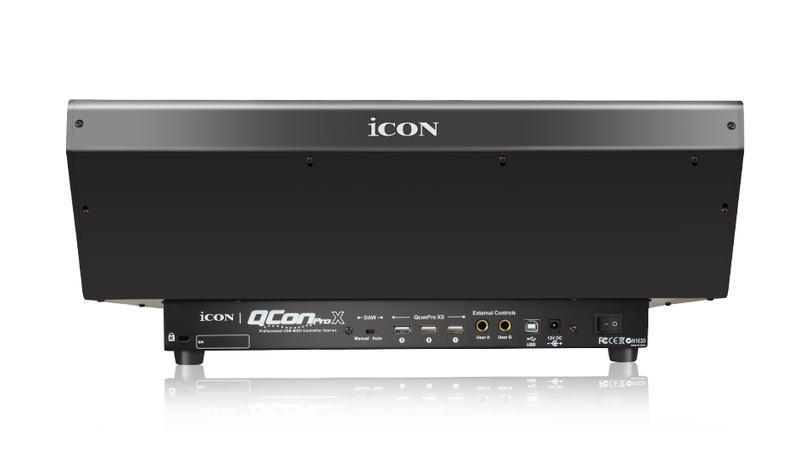 The all new QCon Pro X is a control surface designed to get you out of the box of your computer and into your music. Record and mix without always having to point and click. 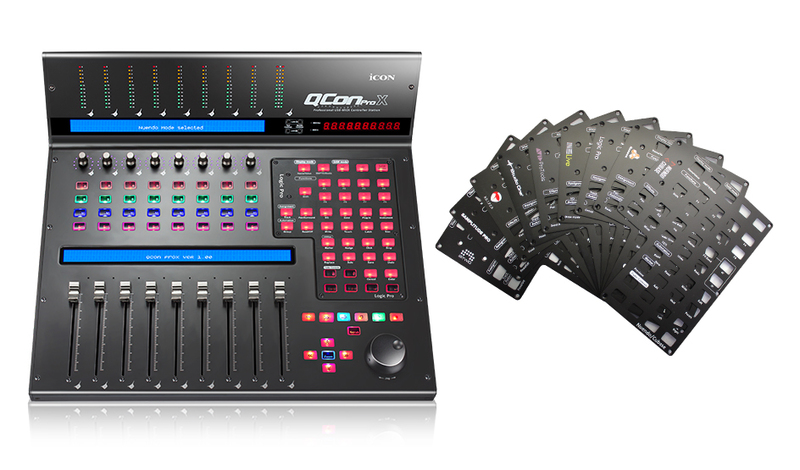 QCon Pro X puts the functions of your DAW at your fingertips by providing you with nine (9) full sized motorized faders, eight (8) rotary dual-function encoders, two (2) large backlit LCD screens, LED volume metering, a jog wheel and plenty of buttons to press. 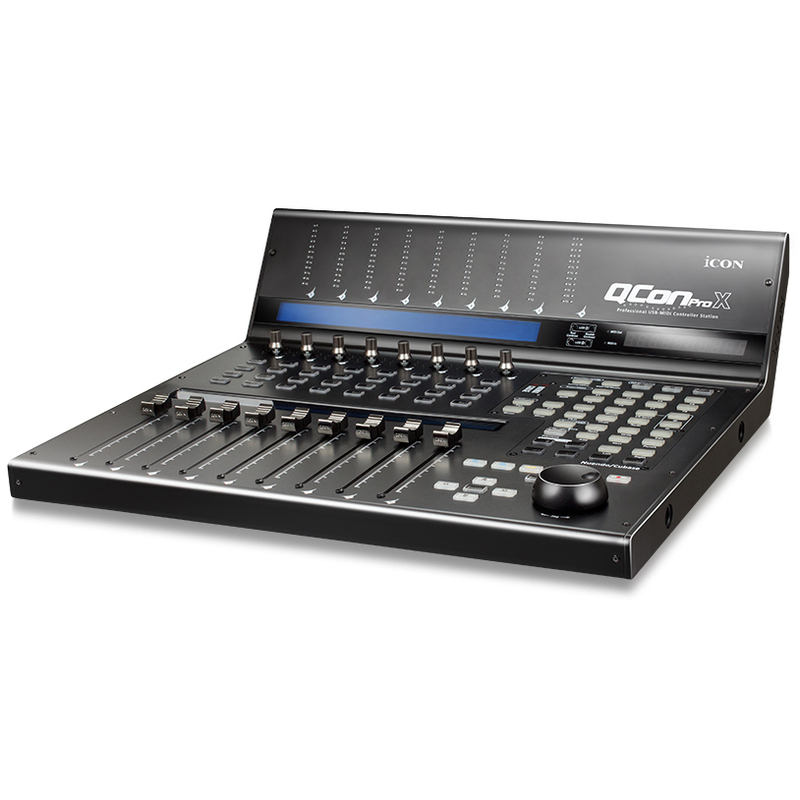 Adjust multiple volume or pan levels simultaneously. Mute or solo numerous tracks on the fly. Use the transport section to conveniently play, stop, fast forward, rewind, record, loop, zoom, punch in and punch out of your compositions. Spin the nicely sized jog wheel to scrub through tracks and address areas of special interest. Dedicated buttons also allow you to access your entire mix by banking across tracks in groups of 8 or 1 track at a time. 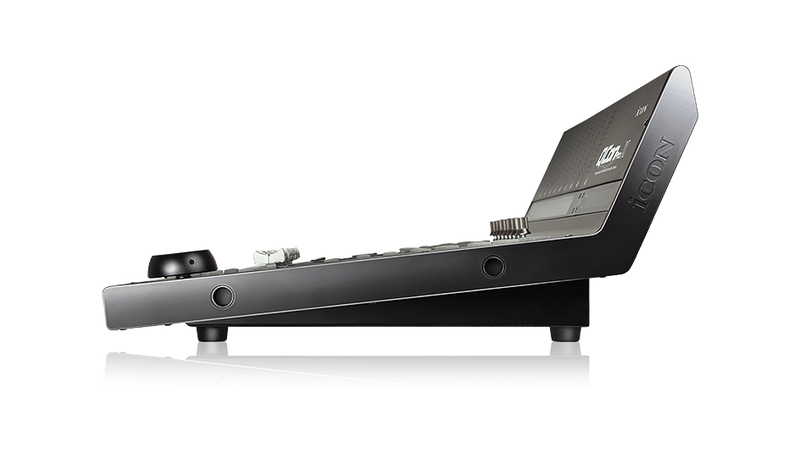 QCon Pro X is a powerful control surface for any DAW. Integration is most easily facilitated using any one of our DAW specific custom modules. Simply select the module for your DAW, follow the easy install procedure, and QCon Pro X will use Mackie Control or HUI protocol to provide seamless interfacing with your DAWs functions. 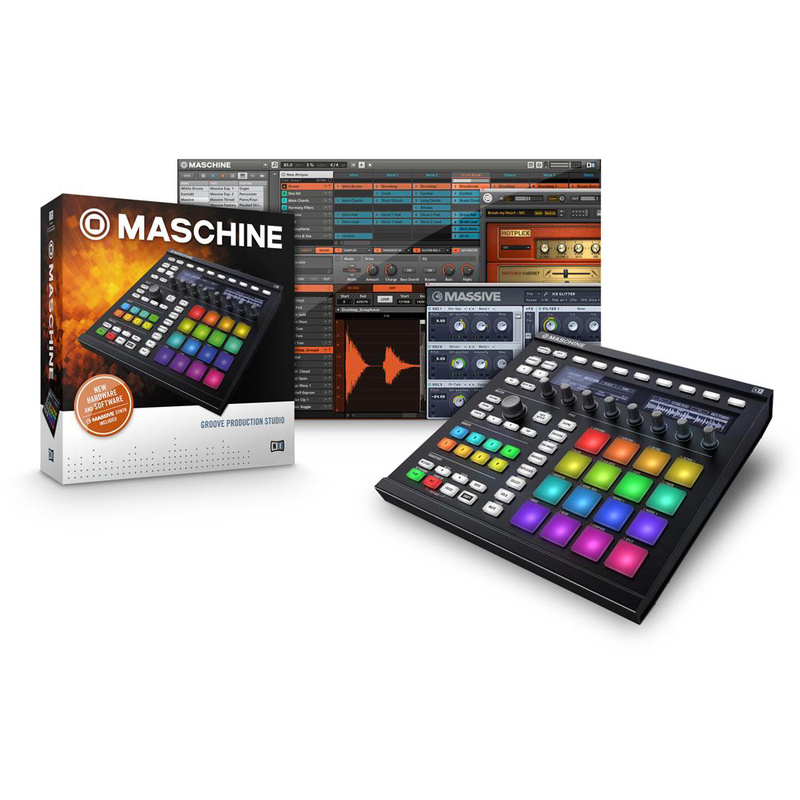 We offer modules to support the most popular DAWs including Cubase, Nuendo, Ableton Live, ProTools, Logic, Reason, Studio One, Bitwig, Samplitude and Reaper. Once QCon Pro X is linked to your DAW, then it will always boot up in the proper configuration; even after being powered off. 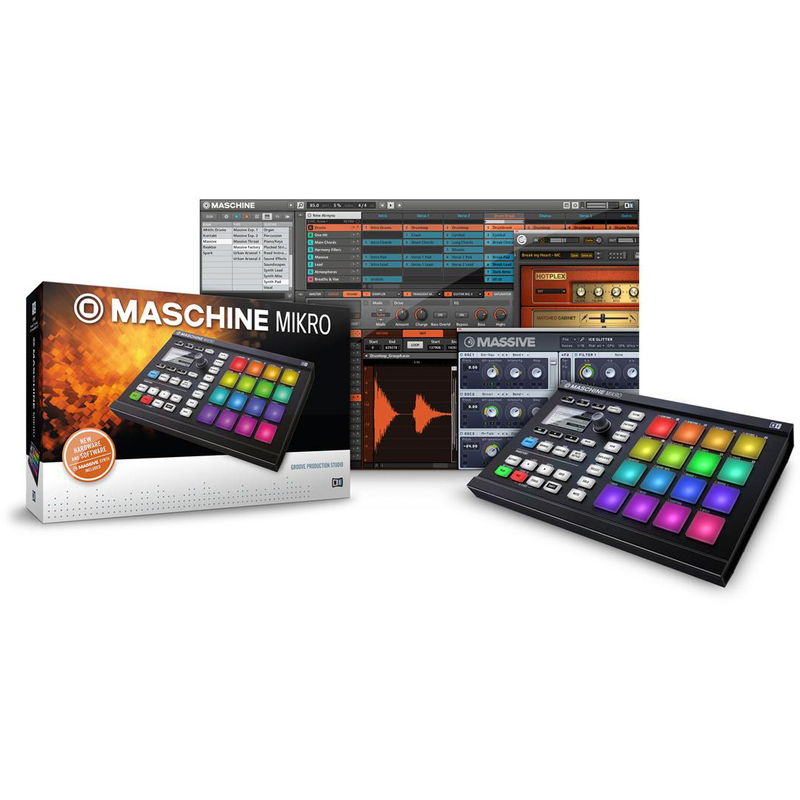 If you have a module installed for one DAW, and want to use a different DAW, then no worries. You can still go into manual mode and select any of the other supported DAWs from a list displayed on the QCon Pro X LCD upon boot-up. Even if your DAW is not supported by a custom module, then you can still map its functions to QCon Pro X using our intuitive MIDI learn mode. 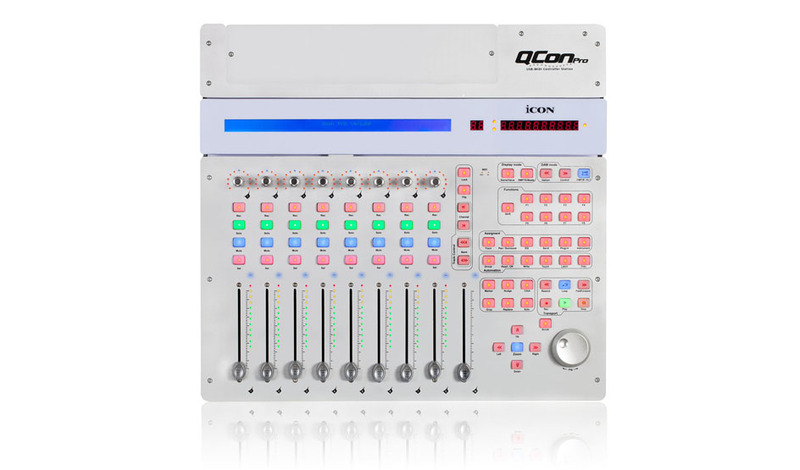 QCon Pro X also gives you tactile control of your VST, RTAS, Direct X and AU Plugins. Dial in EQ frequencies, Q or gain with the rotary encoders. The values of different parameters are shown on the upper LCD screen. Control Virtual Instruments as well. 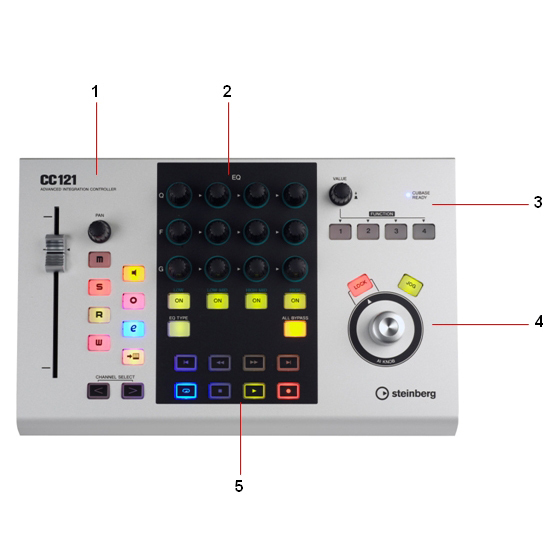 Theres also a FLIP button for fader control of plug-in parameters. Automation of track and plugin parameters is also made easy with QCon Pro X. Write fader rides just like you would on any large format analog console using buttons for familiar functions like GROUP, WRITE, TOUCH, LATCH and TRIM. QCon Pro X is also scalable. Expand in groups of 8 up to 32 channels. Expansion modules will be available soon, so you can create a custom surface to fit your needs. 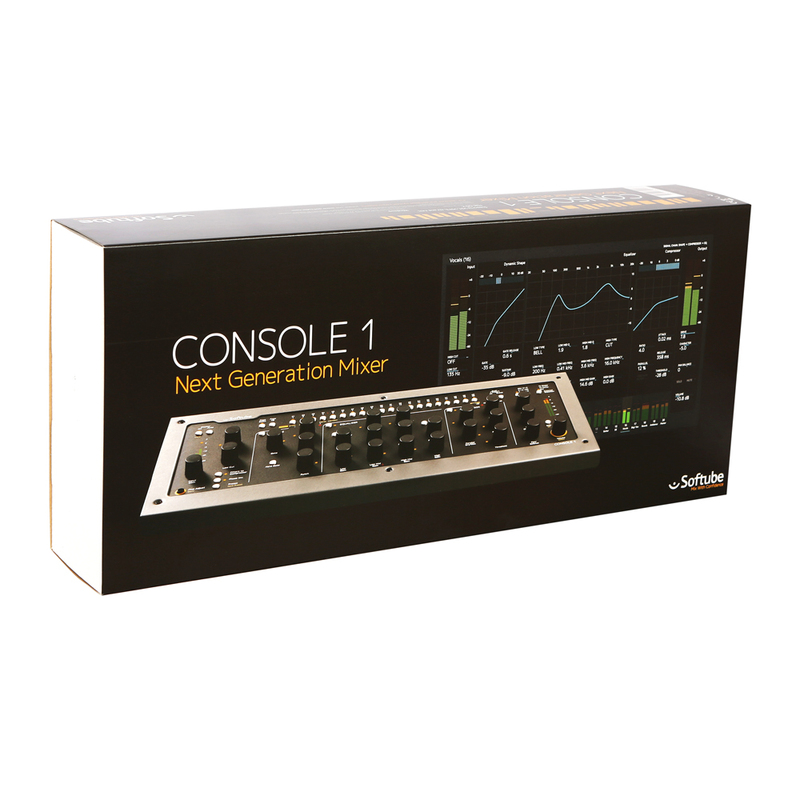 With the QCon Pro X you get the best of both worlds; the total recall, power and flexibility of your DAW with the look, feel and functionality of a sturdy piece of hardware.